Whether you’re off for a short business trip or long relaxing holiday, the last thing you want is to get hit with anxiety about whether you turned the heating off, locked the doors or turned the alarm on. 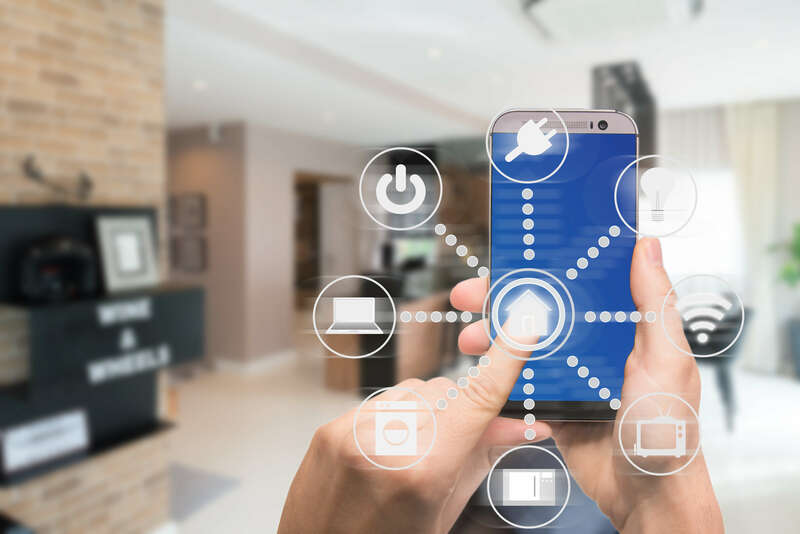 The benefit of having your home security on your phone or smart device is that you can put your mind at ease by being able to check your security on demand whenever you like. Most apps will also alert you if anything happens whether that be from an intruder or just ensuring the cleaner has locked up after themselves. If you’re worried about home or personal security whilst away, why not take a look at our holiday security guide. In a rush? Know family members are still getting ready to leave after you? You won’t need to worry about triple checking your security before you leave or calling your teenager 20 times to check the door is locked as the convenience of having it all in your pocket solves all of that. The comfort of having your security on your phone means that you won’t need to completely rely on remembering to do things before you leave the house or trusting other members of the household. These security systems aren’t usually just designed for locking doors – they usually come with a whole abundance of safety features such as C02 detectors, appliance controls (ovens, heating, irons, tv’s etc) as well as CCTV cameras linked up to your phone. These are usually really good for those at work who are worried about elderly family members living at home too. On the other hand, in this day and age, we are so swept up by the brilliance of technology that we don’t realise the drawbacks until we’ve spent all out money on it. One big con of carrying around your complete security system on your person is the risk of losing and/or breaking your phone. Whilst there may be different ways to recover your security quickly, your home could still be compromised and you may find yourself in an inconvenient and stressful situation – particularly if others in your household rely on you letting them in or keeping an eye on things. With many sensitive aspects of our lives being digital now including banking and medical records as well as home security, hackers are becoming smarter and smarter. Should a hacker get past your comprehensive wireless home security, they can gain access to everything. This is definitely something to be cautious of and should be spoken about if purchasing one of these systems. We all know that you pay for what you get and that is, unfortunately, the same for any type of security. The more you spend, the better your product will be. With the risk of your home involved, it is important that this isn’t something you get wrong. Paying for the added convenience of wireless security, you may find yourself with a big bill. Many of these systems are self-assembly meaning you need to install all of the pieces yourself. Without the expert knowledge, you might install components where they aren’t most useful comprising the security of your home. If this is something that concerns you, you may be able to hire someone to help you out but this will incur an additional cost. If you’re looking to secure your home with traditional locks, domestic safes for your valuables, or any other specialist security products, give our friendly team a call on 0117967 4994 and find out how we can help keep your property secure.